Go Bites Hazelnut & Chocolate is rated 5.0 out of 5 by 13. Rated 5 out of 5 by sjk132 from Delicous rich chocolate taste & great energy boost Discovered these after some sampling in my local H+B. There's so many energy bars and balls out there but I feel this offers something a bit different. I like format of these being in 3 little ball - makes them easy to eat and transport if exercising and means you can just take one if you need a small boost. It's made with all natural ingredients , dairy and gluten free and vegan and the taste is delicious. Really deep authentic cocoa taste and a lovely dense, satisfying texture. Rated 5 out of 5 by AngelaBro from Delicious energy boost We love these in our house, great for adults and kids who need a healthy snack after sport or just a treat between meals. These are tasty and healthy, so they tick all the boxes. Rated 5 out of 5 by jurtis from Bloody scrumptious I've tried all the flavours and this one really stands out from the crowd. A noticeable energy boost during my office days. Great to see it's vegan too! Rated 5 out of 5 by busymum2kids from Great energy snacks for sporty kids We have used Kate Percy's receipe book for a while and came across these at a triathlon in summer. They are the perfect snacks for my kids before and after racing. Now they are an essential part of our race kit for all their sports. They just think they taste like ferrero rocher but a far healthy version. Rated 5 out of 5 by McMayo from Very good As a lifelong vegan I found this to be one of the best vegan nutrition solutions out there for vegans. Rated 5 out of 5 by MsFitness from Delicious flavour, tasty morsels in a handy pack. Bought all three favours a month ago. Very popular at home and with visitors. 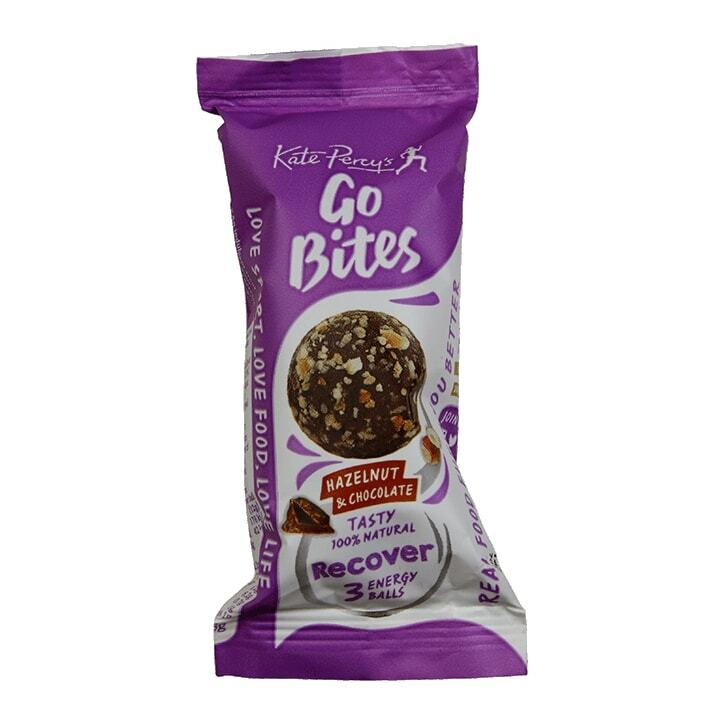 Rated 5 out of 5 by Road Runner from Really good tasting energy snack A healthy snack which, at the same time as being good fo you, tastes great! Also I found it really effective for providing a short term energy boost before running.